So what did I buy last month? As usual, it was a fairly eclectic mix. First up are a couple of very practical purchases. A sparkly zip-up top from the pound rail, brand new with tags - it will do as a cover-up after an exercise class. I've increased my classes and now do kettlebells, spinning and yoga each week. I might as well get my money's worth out of my leisure card. The blue lace-up shoes are Somerset by Alice Temperley at John Lewis. An Ebay bargain. I wear lots of different styles of flat lace-up shoe, they are my 'everyday' shoe for when I have a fairly active day. On weekdays, I wear lace-ups for the journey to work (which invariably might involve running for a train...) and then change into other shoes in the office. I know, very '80s, but at least they're not white trainers with socks (like in 'Working Girl', I love those scenes of the NY rush hour). 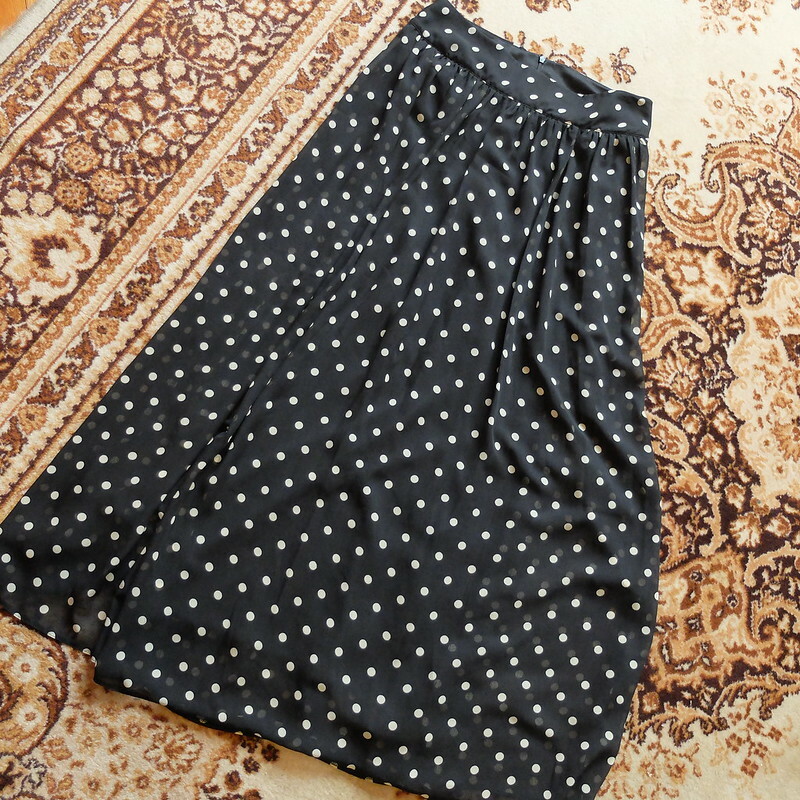 I didn't know that I needed a long polkadot skirt in my life until I found this one. It was charity shopped, and is only from F&F at Tesco - I try to keep my purchases more upmarket these days but it's a nice weight and fully lined, so for a couple of quid I thought I'd try it. If I don't like wearing it I will re-donate. I haven't worn a maxi skirt since the early 00s. Back then it was a khaki cotton tiered one from Topshop that I wore to death. I bought this lovely Preen Studio at Debenhams dress back in July but forgot to include it. It has quite a '70s print (I think my Mum had something similar?) and I like the kimono sleeves. One for work this Autumn. It's navy though, I don't know why it's black in the photo! Before my holiday to Spain I panic-bought a number of pairs of sandals and a few other holiday items. Panic-buying occurs without fail every year. I really do need to start buying things in January or something when I have loads of time and people are selling off the hot weather gear cheap! The panic-buying successes included the Clarks 'Bianca Crown' coral sandals on sale. I wore them on holiday and they were great, though the heel did scuff terribly easily so now I need to find a coral colour marker pen to hide the marks. 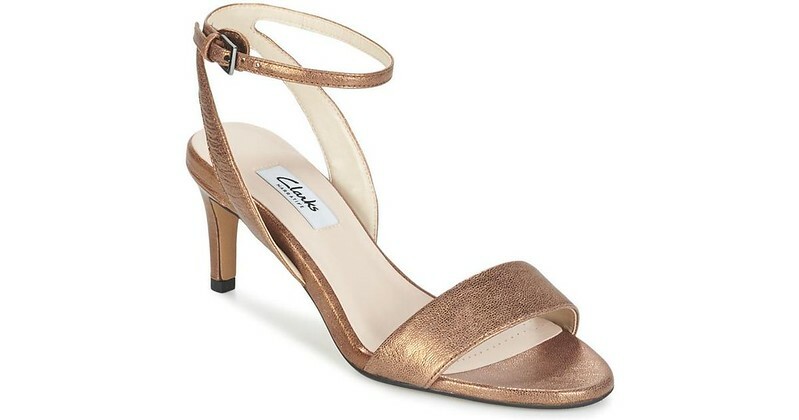 The other Clarks sale sandal purchase was the 'Parram Stella' in white. I didn't end up taking these on holiday because I had too many other pairs to fit in. I'm having second thoughts now about whether they're too girly because of the big flower on them. I might pack them away until next summer and perhaps I'll be delighted at the rediscovery. Whilst in Clarks looking for practical sandals, I saw the 'Amali Jewel', also on sale, and immediately decided that I needed those too. I took them on holiday also, and I enjoyed wearing them - they're more elegant than the usual wedges I stomp around in for evening wear. My other panic-buying involved trying to find a new bikini. I won't bore you with all the ones I bought and sent back because we'd be here all day. In desperation I went to House of Fraser and happened upon the Biba range. I bought the 'Icon' bikini in cobalt blue, on sale too. It's the most glamorous bikini I've ever owned. I might have to get it in other colours if they release any more next year. The other pre-holiday panic-purchase was a pair of silk culottes. I'm not sure now why I felt they were an essential purchase to take abroad, but I felt strongly about it at the time. 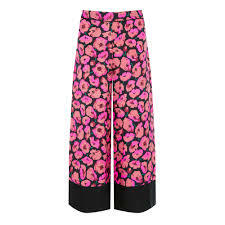 The culottes are from Warehouse in the sale (£20 down from £79), and they do brighten things up. Alas, they don't go with anything in my holiday wardrobe, so they didn't come to Spain with me. If I can't make them work for day/evening wear then at the very least they can be a posh pair of pyjama bottoms. 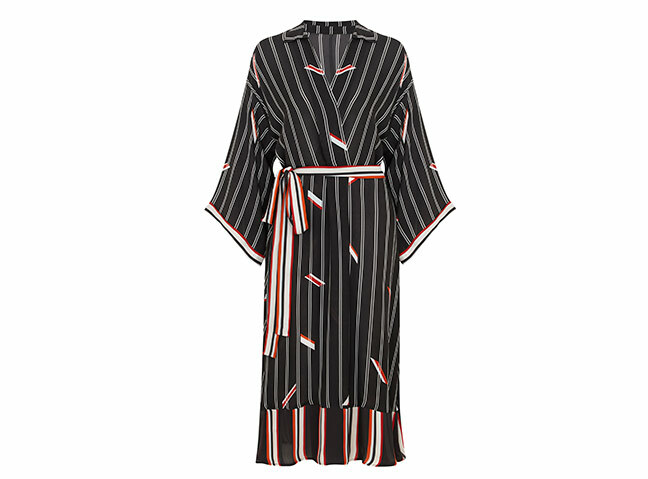 Also from Warehouse was a stripe cotton dress that has been featured in the Sunday Time Style section and in other fashion editorials. I stalked it for months, waiting for a price drop, and it finally went on sale in late August. What a disappointment it turned out to be! The fabric was very crease-prone - useless for holiday packing - and the sash went through a weird metal loop so that it was quite tight at the waist (not good for hot weather). 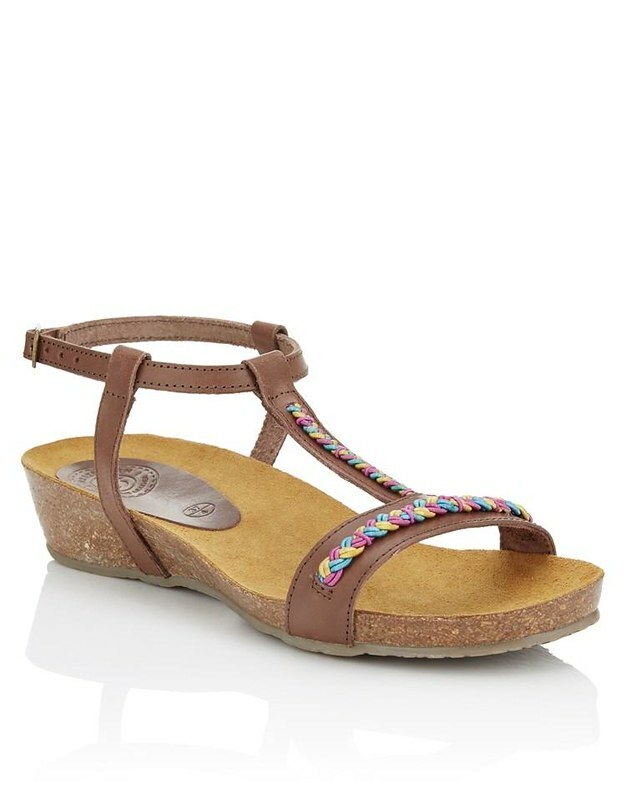 Less successful again were the 'Boho' sandals from Brakeburn that I bought before I had discovered the Clarks sale. They are a departure from my normal sandal style, I was possibly swayed by their comfort - the down side is that they don't actually go with anything in my summer wardrobe! Gah. So, I'll have to flog them as it's too late to return them to the shop. I bought a white ruffle cotton skirt from Asos, but I hated it. The material was incredibly crease-prone, and the elastic waistband felt cheap. I would still like a light cotton skirt for holidays, perhaps if I start making one now I'll actually finish it in time!! 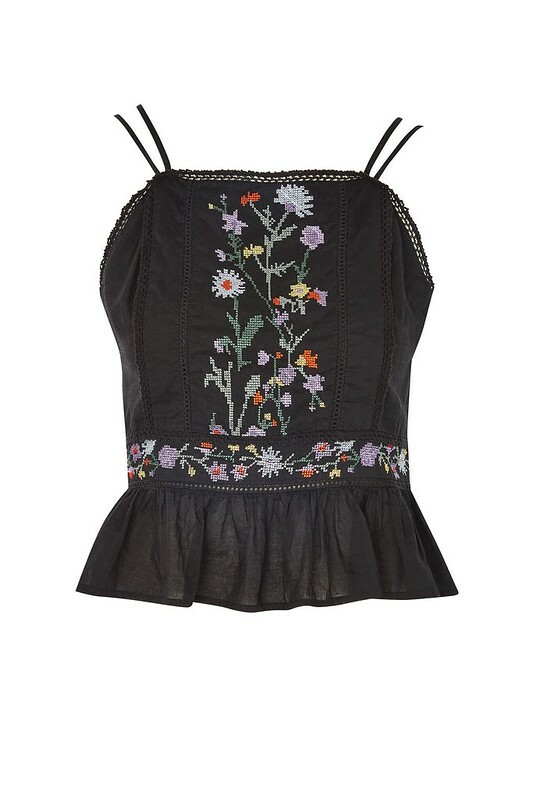 Finally, I tried my luck with a pretty embroidered sun top from Topshop. I liked it, but again it just didn't fit seamlessly in with other things I'd bought. 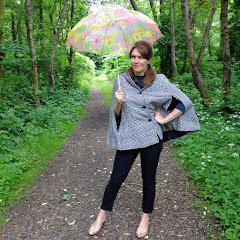 I do enjoy seeing your purchases - in fact I've just blogged about mine! The sparkly top is fab and the shoes and so's the polka dot skirt and the bikini - in fact it all is! I used to think Warehouse was great quality back in the days of Jeff Banks - but the stuff I've come across in chazzas recently although nice to look at doesn't seem as well made. 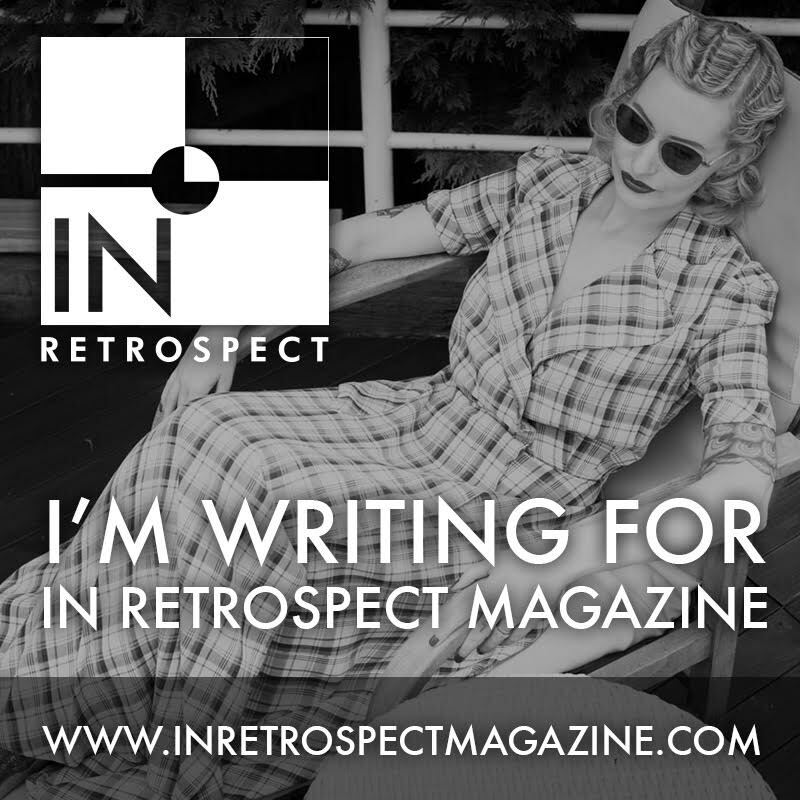 I love seeing other people's purchases too, I was over to your blog like a shot!! Clarks do have exceptionally good sales here, it's true. They have an online outlet too, and outlet stores, so there are lots of chances here to get some bargain Clarks! I love that kimono like dress, and the white skirt! Great purchases! I'll be wearing that kimono dress soon, I am mentally planning a shoe combination! Panic-buying is an enemy of mine too! I love reading your purchase posts, and that you include the returns. Sometimes it feels like I'm the only one buying stuff that doesn't actually work for me! Thank you, I'm glad you like hearing about the returns/failed purchases! I started doing it to document how much I actually shop, but I'm pleased if it helps normalise just how frustrating shopping is!! Ooh that sparkly top and those blue shoes are wonderful! All the things! I haven't ventured into real shops in an age, I usually panic and walk out again! Those white shoes are really lovely and I love the black top too. Got some excellent sandals there - the Amali ones are, as you say, really elegant. They're almost a bit Studio 54 - disco de luxe. Oo, I like that description! I shall think of that everytime I wear them, it's bound to make me feel glamorous! 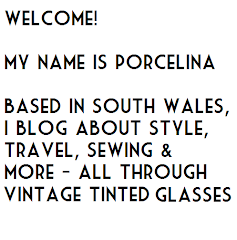 Oh you always find some great items Porcelina ! My faves are the polka dot skirt and the two striped dresses. I see the silk culottes worn over a black one-piece swimsuit with a big straw hat and a woven handbag for beach/dockside adventures and strolling. They remind me of 1930's beach pajamas only more cropped! I like the white sandals a lot too, very 40's looking! Bianca, that's a genius idea about the swimsuit with the culottes - thank you! !